But me? I actually don’t need to hear that. I don’t thrive on busyness and interaction. I love an open schedule with plenty of “white space” where I can pursue my own interests or, you know, take a nap. Can I say “no” to a commitment? Heck, yes. The good news is that I don’t go through life feeling as if I’m desperately trying to catch up. The bad news is that it’s all too possible for me to sink into a quiet, inactive rut. Join a co-op. When my children were small, I found a casual once-a-week co-op. It was a big energy drain every week—especially since the kids weren’t always, um, cooperative. But it was very good. Once every week, my children learned alongside other children. Meanwhile, I got to make friends, teach kids besides my own, and know I wasn’t alone in my homeschooling journey. Obviously you don’t want to get involved in a co-op that’s too demanding. If you come across a group that suits you, though—go for it. Really. I promise it won’t kill you. Push your kids a little more. Can your kid do four multiplication problems? Give her seven. Can your teenager write a paragraph full of sparkle and humor? Assign him two. You’re not going to overload them, because you don’t do that. You can afford to expect more from them. They’ll whine about it, or maybe they’ll struggle with the challenge. Yes, you’ll have to catch all that angst and be there to guide them through to the finish line. Do it! It won’t kill you… or them, no matter what they might think. Set up playdates for your kids. Playdates aren’t always fun. Lots of quarrels and noise, plus it’s hard to have a satisfying adult conversation when every third sentence gets cut off. Afterward, you just want a quiet place to recover, like maybe on Pluto. But it’s worth it for your kids. They’ll have good memories of playing with friends. And not only will you maintain friendships and get to trade ideas about parenting and schooling… it also won’t kill you. Accept invitations and opportunities to serve. You’ve got to weigh commitments carefully. Do you have the energy for it? Will your kids enjoy it? Will there be enough of you at the end of the day for your family and husband? It’s way too easy to answer NO to all of the above, and just stay home. But sometimes, make the effort and say YES. You’ll probably enjoy it. Even if not… it won’t kill you. We all approach homeschooling—and life—differently. If you’re like me, you know your own limits. We’re not going to overdo ourselves. Our focus, instead, is on how to live full and happy lives within those limits. So go for it. 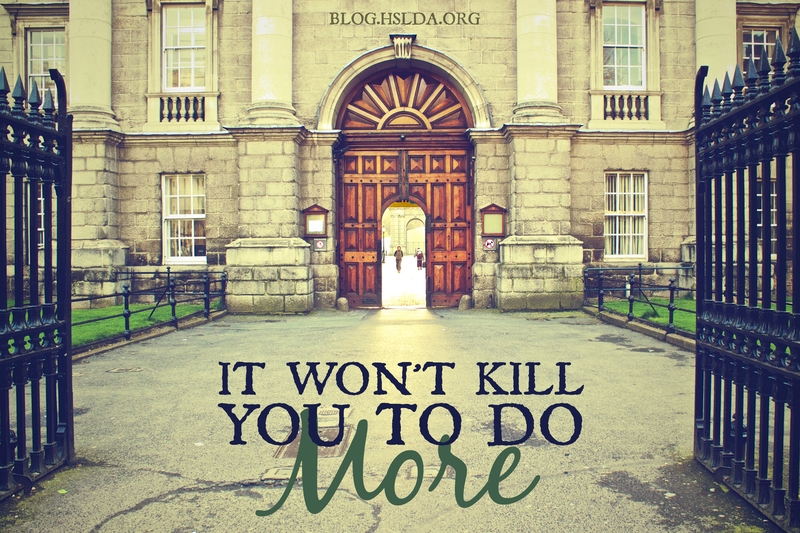 Not only will it not kill you…you will thrive. Great article, Sara! I tend to be like you, although I can cram my schedule with self-imposed commitments like articles to write, etc. Most of my friends tend to be highly social extraverts, so they are great to be around and have my kids around and we do a co-op too, so I think we’ve found a good spot within those limits. But it’s easy to either take on too much or get stuck in a rut.